The most sweeping change to financial regulation since the Great Depression might have made it easier for the Securities and Exchange Commission to keep its secrets from the public. Under the new regulations, the SEC no longer has to comply with most public requests for information, including those made under the Freedom of Information Act, FoxBusiness.com reported. 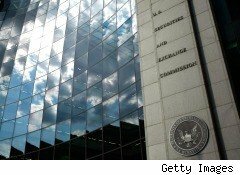 The financial reform legislation signed into law by President Barack Obama last week exempts the SEC from disclosing records or information derived from "surveillance, risk assessments, or other regulatory and oversight activities," FoxBusiness.com reported. Because the SEC is a regulatory body, only Congress and federal agencies can request that information from it under the new rules, FoxBusiness.com reported.